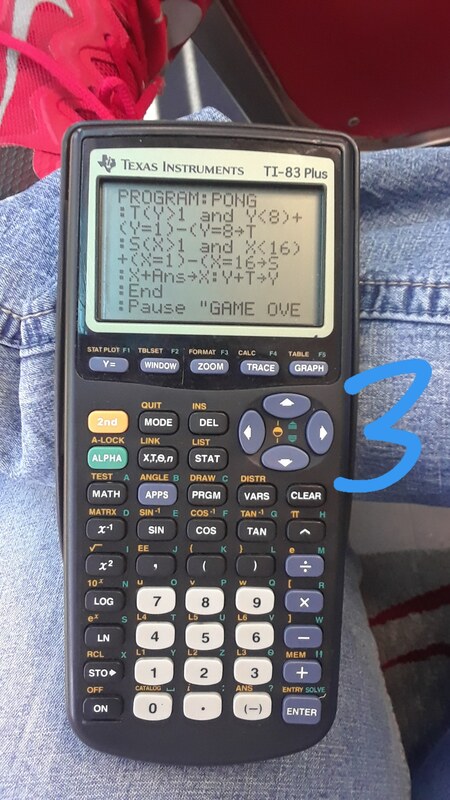 I programmed pong into my TI-83 seemingly correctly but when I play it it gives me the "game over" screen when the ball hits the paddle. Is it supposed to do this? Where did I go wrong? Here's a link to pictures of the code. It might be possible that K is already 45, since you don't initialize it at the beginning, which would bring up the game over screen, but that would be when you start the game, rather than when you hit a paddle. Another thing that I find weird is that you only bring up the game over screen if the left paddle misses, but not the right, is this supposed to be played against a wall? The logic seems good though. Yes, it is supposed to be played against a "wall" because I don't think there's a way to control two paddles and if there is that seems a little out of my league to program considering this is the first time I've tried. How would I go about initializing K in the beginning? 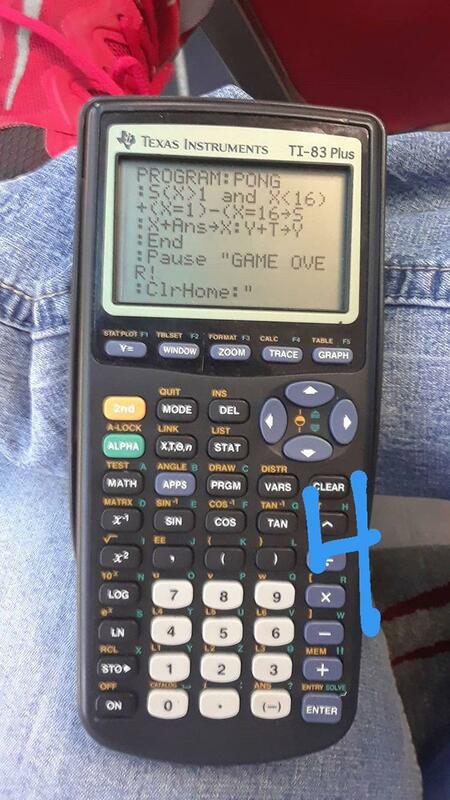 Where would I add it and what would the code be? I'm hoping that that's the problem and could be a simple fix. Technicaly all letter variables in BASIC are already initialized. You just have to store a value in it. Well actually that’s not necessary. 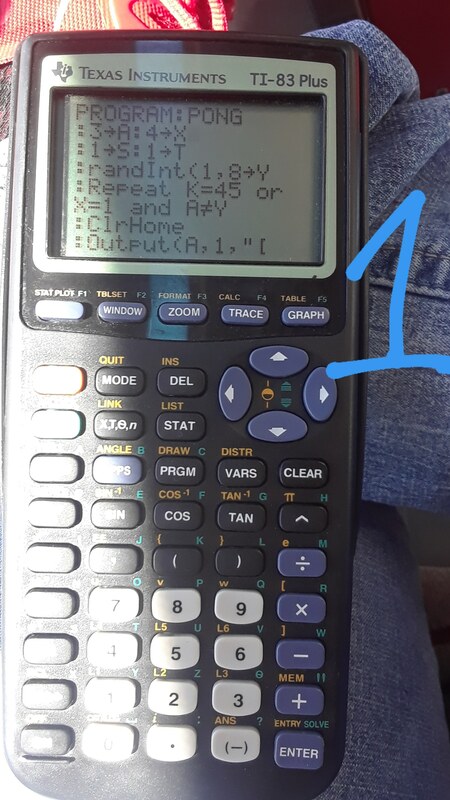 The repeat loop always runs at least once, and within it, the getKey already stores a 0 in K. So a 0->K at the beginning is redundant. sorry I didn't have a way to transfer the code over in text maybe I can crop the photos next time? I was on the bus but I'll keep it it mind. 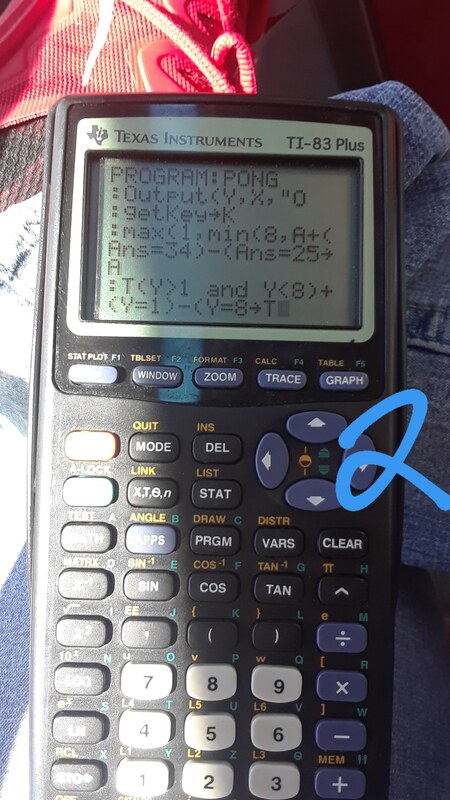 So if k->0 isn't the answer, what do I do? Well I can’t test anything right now, but it looks like your main problem is that T and S only ever change between 1 and 2. What you need to do is if the ball hits a boundary, it stores negative T or negative S in that same variable. This should make the ball “bounce” off whatever wall it hits. There are 187 users online: 4 members and 183 guests. © Copyright 2000-2019 Cemetech & Christopher Mitchell :: Page Execution Time: 0.289573 seconds.